MamaSoup – A Blog Just For Moms | Did You Have a Traumatic Birth? There’s a lot of talk about traumatic birth these days. I've personally witnessed births that I can't forget because they were scary and a happy outcome wasn't certain: babies stuck on the way out, family members sobbing in hallways, nurses holding cords inside vaginas while the bed flies down the hall to the OR. But if a nurse with knowledge, experience and specialized skills can find a birth frightening and traumatic, imagine how a mom must feel! -A mom, partner or any witness believes that the mom or baby’s lives were in danger. Between 25 and 34 percent of women report that their birth was traumatic. When you think about it, many things can be recognized as traumatic: war, abuse, or surviving a disaster. The problem with birth is that because people consider it a joyous event, we gloss over the dirty details of trauma and say, At least you have a healthy baby- that’s all that matters. We tell women that because they got through birth they should just "get over it" and enjoy being a mom. Here’s the problem: many women are suffering from the effects of PTSD (Post-Traumatic Stress Disorder), PTSS (Post-Traumatic Stress Symptoms) and they don’t even realize it. These are the thoughts that you don’t voluntarily invite into your head. They can appear as nightmares, intense reactions when you recall your birth (faster breathing, headache, feeling a “sick” stomach, panic, etc…) and even flashbacks. If you ever avoid thinking about your birth you may be incubating yourself from feeling the trauma. Also, if you avoid the location or people who were involved in your birth, if you “forget” parts of your birth you really should seek help. It’s not normal to avoid the activities you used to enjoy, or detach yourself socially. This means that you can’t bring yourself to wash the dishes, tidy up the house, shower or change your clothes. So if you had a traumatic birth and you aren’t diagnosed with PTSD, you may still experience some of the symptoms to a lesser degree. They usually are less severe and last less than a month. 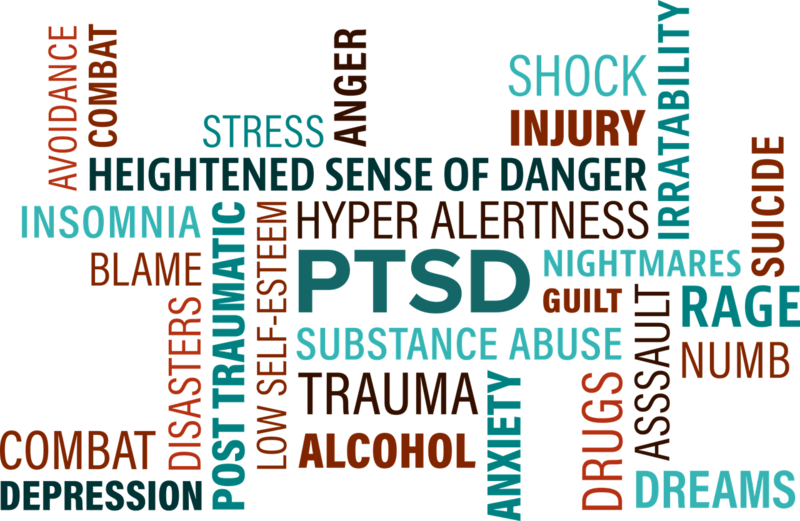 These are considered Post-Traumatic Stress Symptoms. Recovering from PTSS takes some time and a lot of support. Support can come from a therapist and from other moms who have overcome traumatic birth. If you’ve had a traumatic birth, know that you’re not alone. Reach out for help, download the PTSD COACH app and rely on other moms who have been through it. With time and support you will heal. Your birth experience matters, Mama.